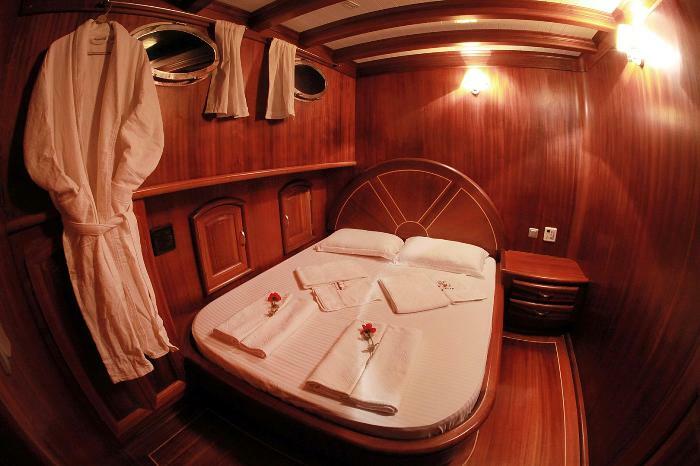 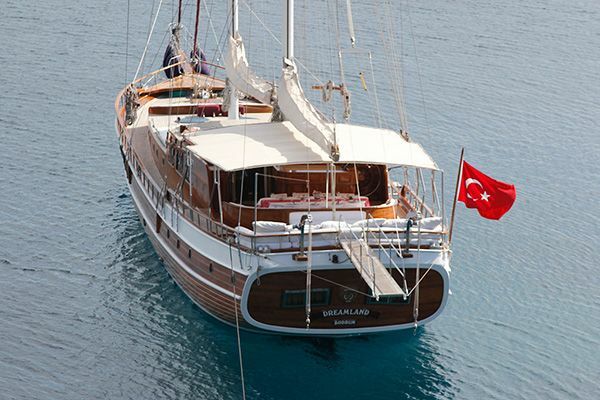 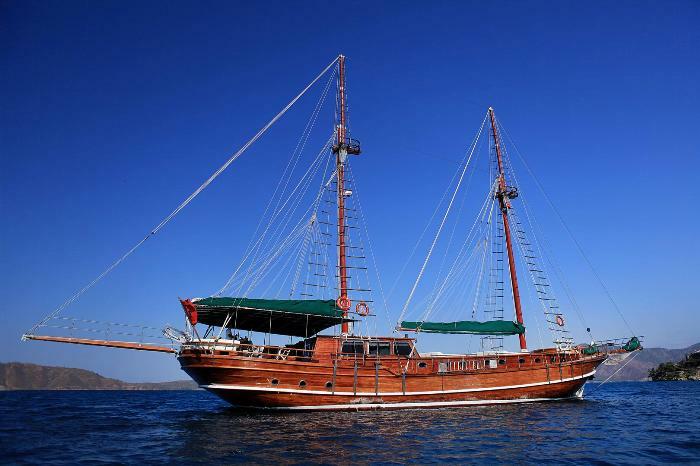 The Galip Nur gulet is one of the larger luxury gulets at 30 metres long to offer up to only twelve guests generous space and comfort on their crewed cruise holiday. 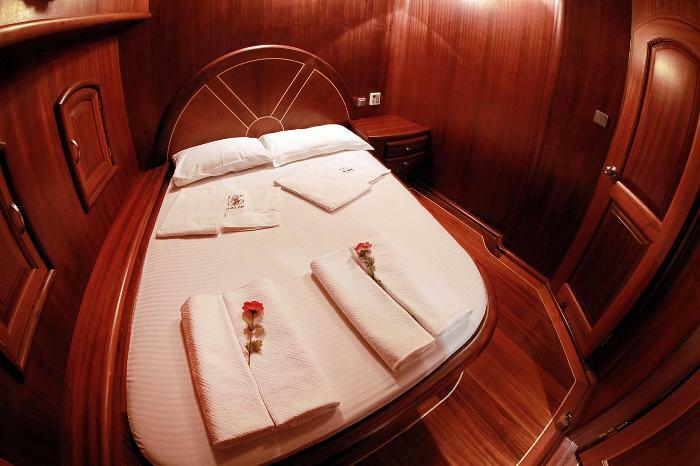 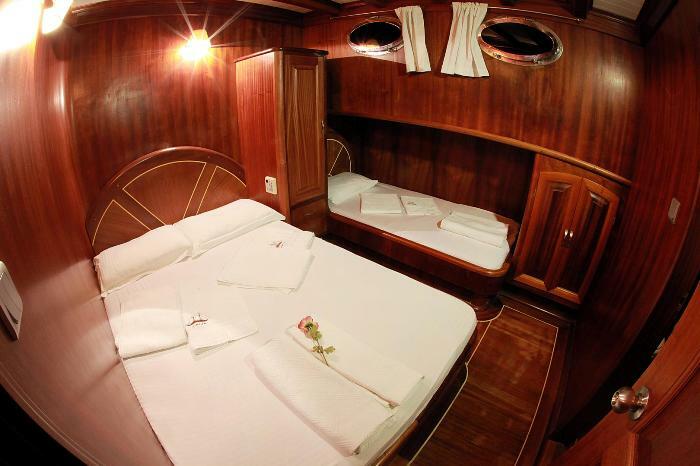 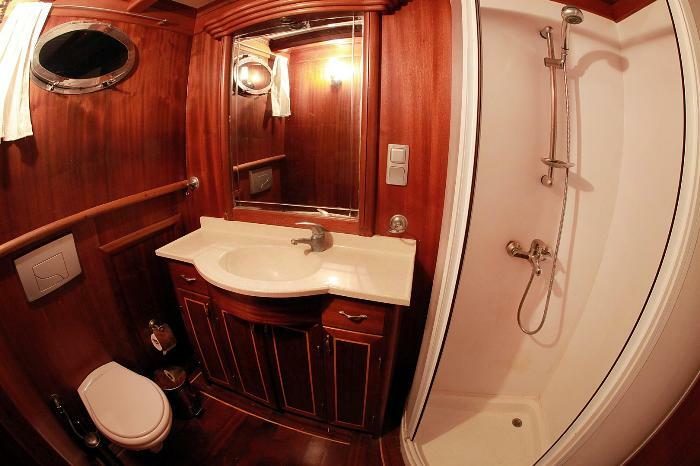 The traditional wooden hull, the gleaming, varnished timber linings, all give a nautical air to the immaculately kept and modern styled six double bed cabins and their en suite bathrooms, and the inviting indoor seating in the saloon. 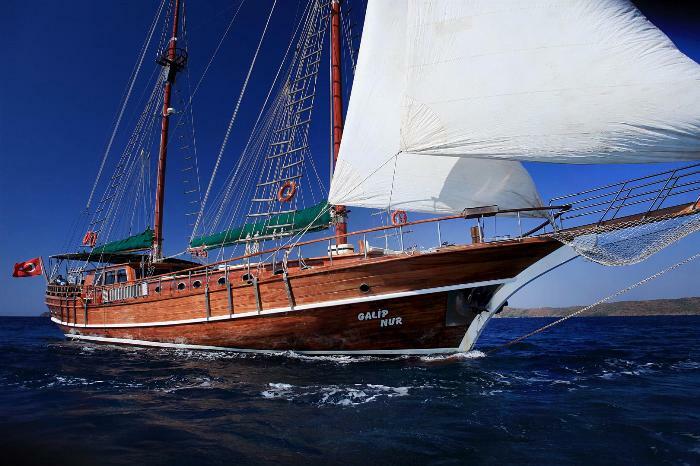 A gulet holiday cruise is all about being in the open air and even under sail, and the deck space of Galip Nur offers all that, and more. 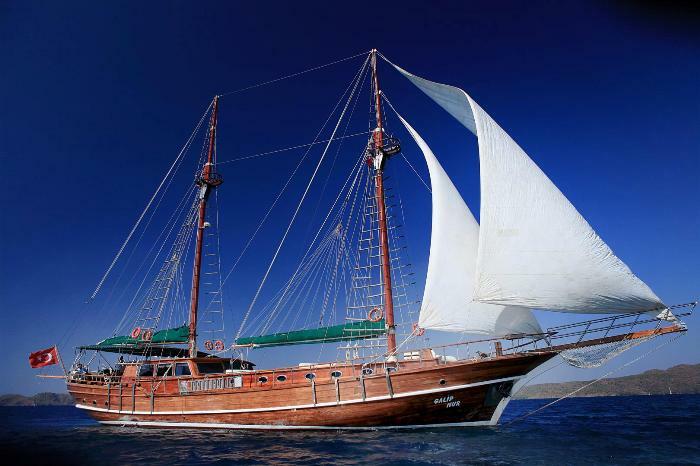 Two masts carry the sails which the crew of four are happy to unfurl and turn off the motors, to give that blissful experience of moving under sail across sparkling seas. 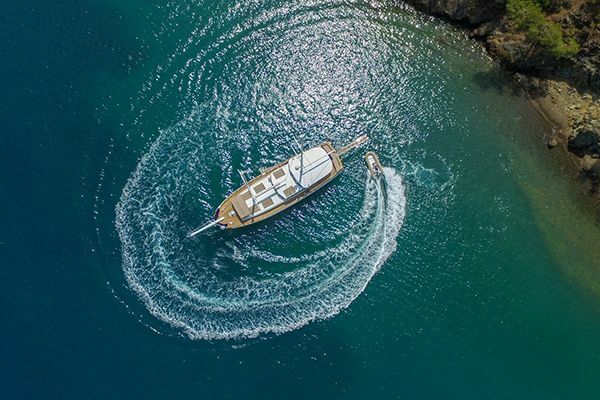 Guests may choose to while the hours away sitting forward on the inviting curved bench in the bow, with small tables, taking in the views where it is also perfect for a pre-dinner drinks gathering. 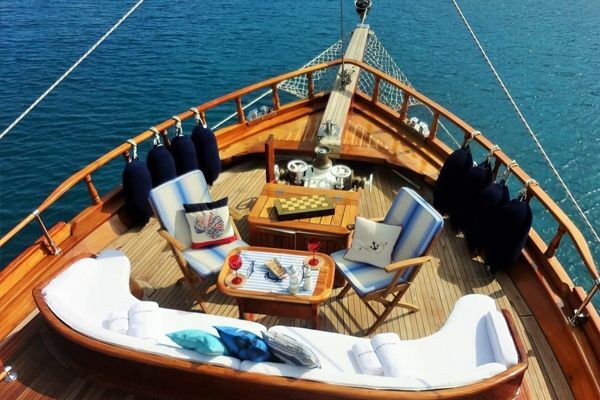 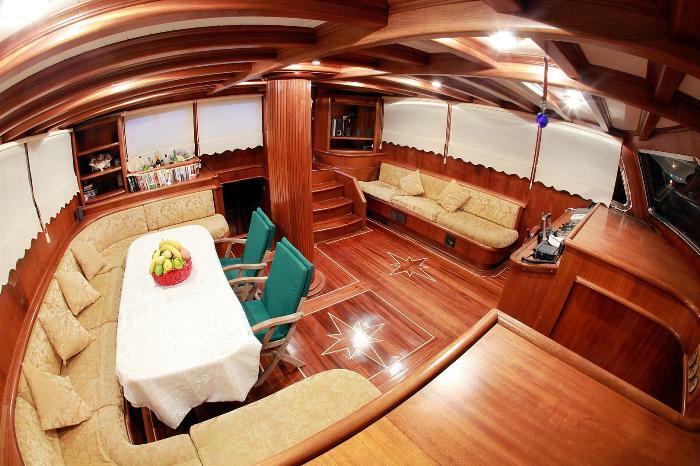 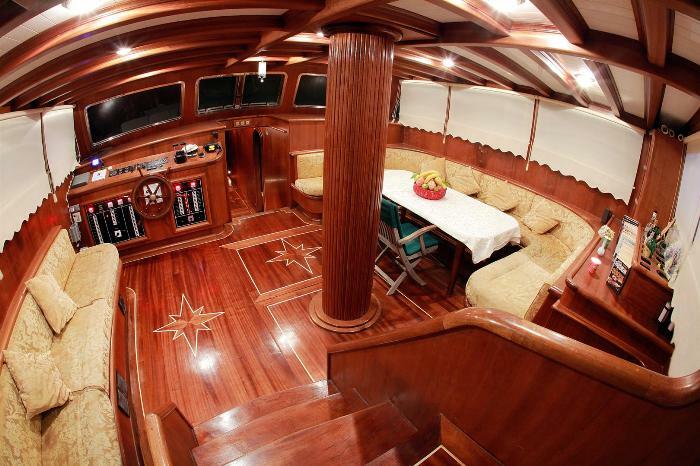 On the foredeck the individual sunbeds are laid out for the sun or shade worshippers, and more shaded lazing can be enjoyed on the inviting bank of cushions across the stern.On the aft deck the full dining table is laid for the meals to be enjoyed in the fresh air. 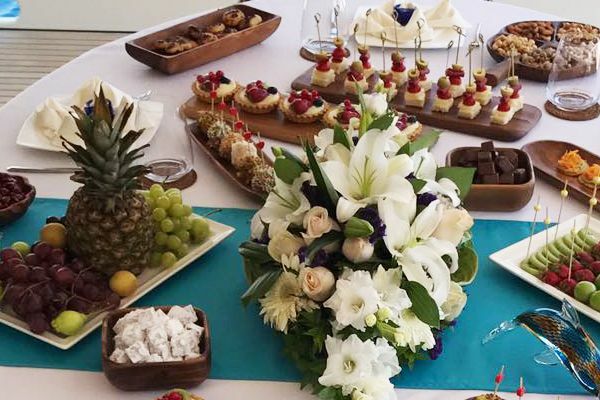 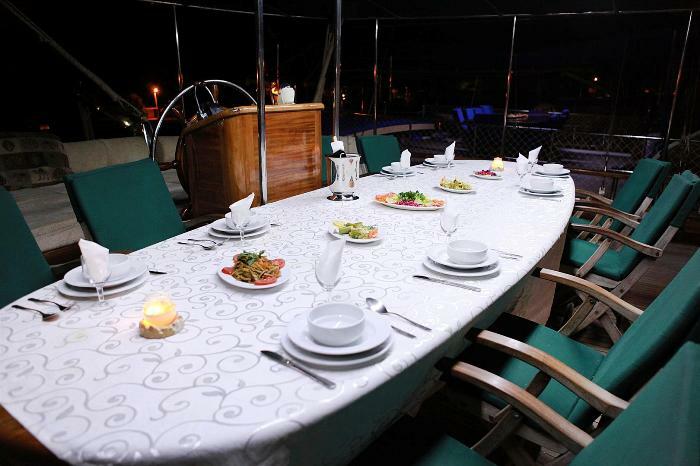 The Captain and crew of three will present delicious meals, provide all the service, handle all the cleaning and boat care, and in a friendly, hospitable way see to all activities the guests wish for. 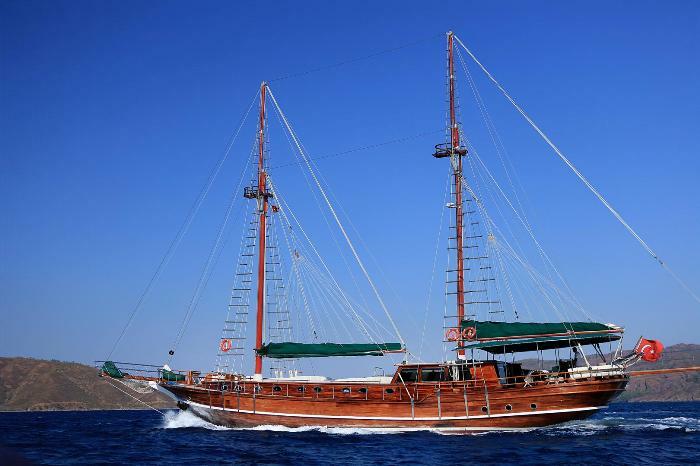 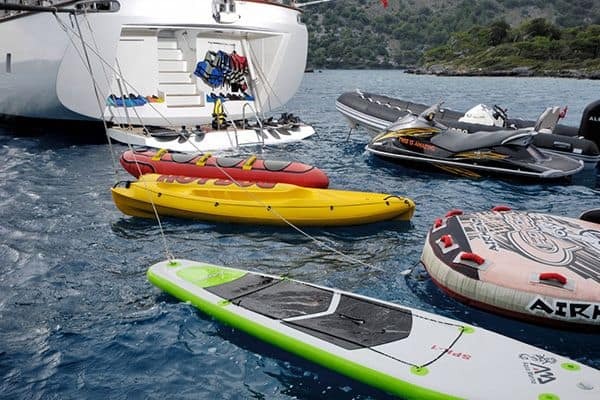 Watersports, exploring on land or by sea, trying local harbour towns for shopping and discovery are all part of the possibilities on the gullet Galip Nur carrying guest on their cruise along the Turkish coast, or amongst the nearby Greek Islands.